We’re pleased to announce that Antipode author and Institute for the Geographies of Justice contributor Geraldine Pratt (UBC Geography) will be speaking at Queen Mary, University of London’s School of Geography on ‘Temporary foreign workers and their children: (neo)liberal compromises and the violence of inclusion’. Sizer Lecture Theatre, Francis Bancroft Building, Mile End Campus. The lecture will be followed by a wine reception. For more details, please click here. 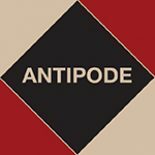 This entry was posted on 1 March 2012 by Antipode Editorial Office in Other and tagged children, Geraldine Pratt, inclusion, neoliberalism, temporary foreign workers, violence.